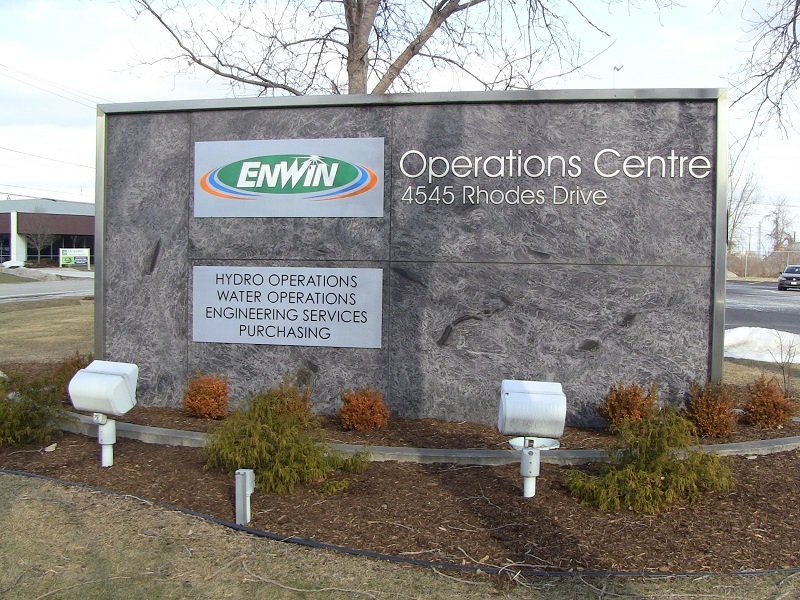 Enwin Utilities is considering moving all of its operations out to its facility on Rhodes Dr.
“We want to do everything in our power to keep costs low and service high,” said President and CEO, Helga Reidel. Right now, fewer than 100 employees work at the office on Ouellette Ave.
“With more than 40,000 sq. Ft. of office space, there are large parts of the building that are underutilized. The costs of maintaining unneeded office space cannot be justified over the long term,” said Reidel. In an email, Manager of Corporate Communications and Public Relations, Barbara Pierce Marshall told BlackburnNews.com savings are still being investigated. The building on Ouellette Ave. would go up for sale, but Reidel believes with grant funding available through the City of Windsor Community Improvement Plan for downtown and streetscaping work underway, Reidel believes a buyer will not be hard to find. Pierce Marshall said the building on Ouellette Ave. will be advertised for sale this weekend. A handful of employees will continue working at the A.H. Weeks water treatment plant on Wyandotte St. E.
The utility is assessing how much the move will cost, considering the facility on Rhodes Dr. will need renovations. A release from Enwin says the building in South Windsor was initially designed to house all the staff. The move would not mean a complete withdrawal from downtown. Enwin’s management team is exploring ways to maintain a customer service kiosk in the downtown area. Pierce Marshall added the process is expected to be a long one requiring approvals from Enwin’s board of directors and the City of Windsor.